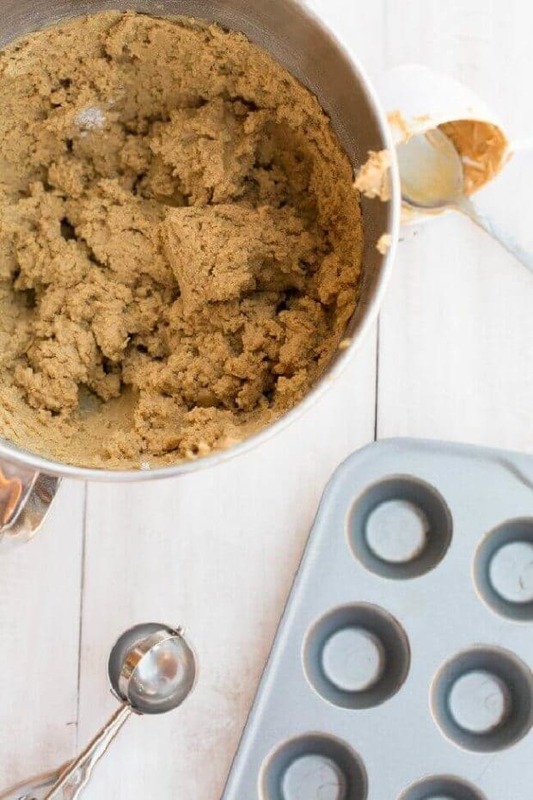 These delicious Peanut Butter Cookie Cups are an easy, homemade recipe you’ll fall in love with. What does it take to make the best cookie? I think it’s a combination of a little bit of a crisp edge with a delightfully gooey center and a dash of nostalgia. 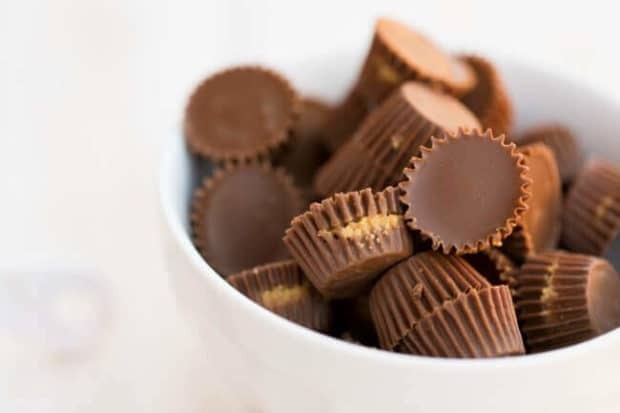 If you like peanut butter cookies , you’ll love these Reese’s Peanut Butter Cookie Cups. When I found the recipe here, I knew I had to try them. I remember the first time I made peanut butter cookies. Well, actually, I helped my nan and she made the peanut butter cookies. Although she did all of the measuring and most of the mixing, I had the important job. I got to dip the fork in a cup of water and squish the cookie down with cross-hatch marks. 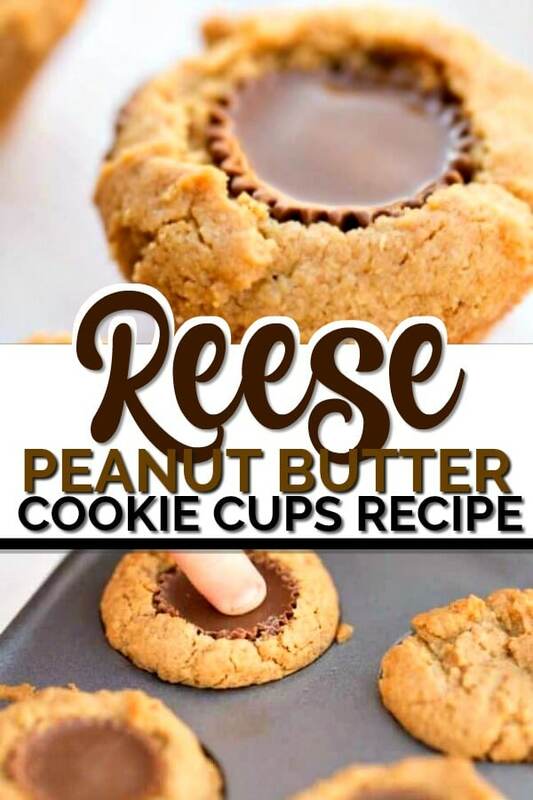 Adding mini Reese’s Peanut Butter Cups to the already satisfying peanut butter cookie raises the bar even higher. 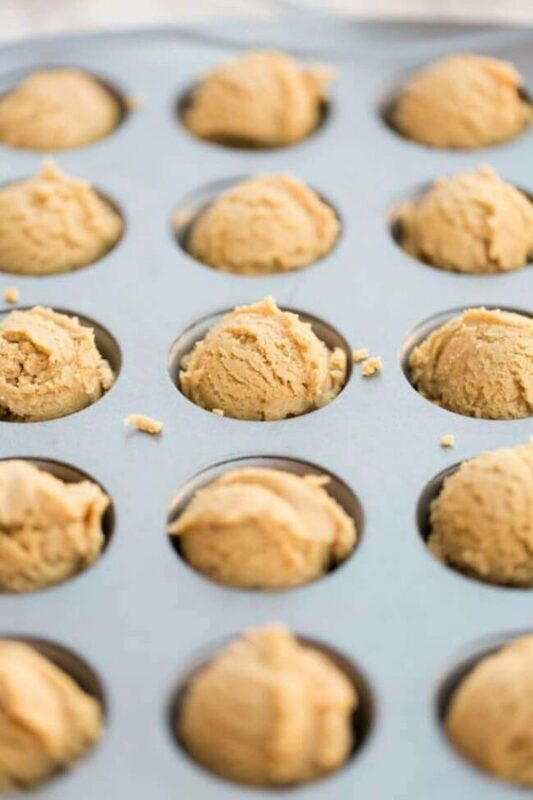 You know you’ve had a treat when you pop one of these Peanut Butter Cookie Cups in your mouth. They have just-right crispy edges with chocolate-peanut-gooey centers—and that dash of nostalgia that comes with much-loved cookies that you’ve enjoyed in the past. 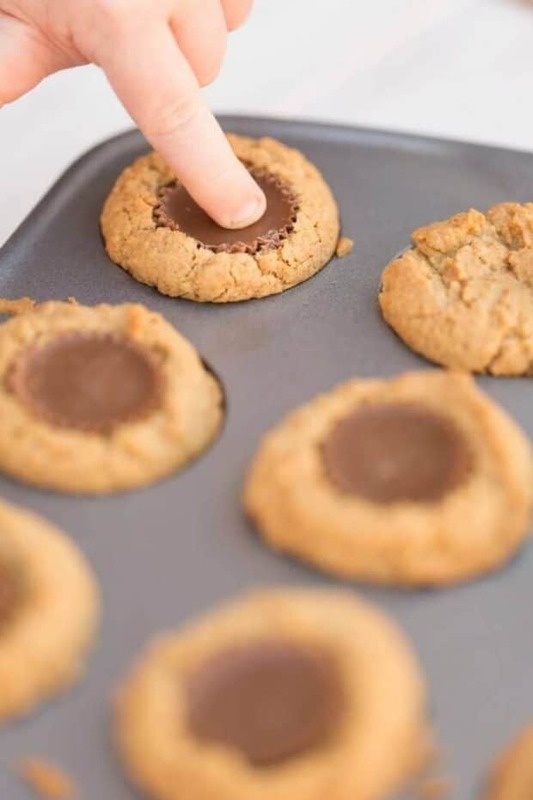 And pressing creamy mini Reese’s Peanut Butter Cups into the center of warm-from-the-oven cookies is a good job for your little kitchen helpers. Start by whisking together flour, salt, and baking soda together in a medium-sized bowl. Set aside for a moment. One thing to consider: I think the best peanut butter for this recipe is the thick kind. Although I’m generally a fan of natural peanut butter, that is not the best product for this cookie. You want the kind of peanut butter that does not separate. Using a mixer, beat the softened butter and peanut butter together on low speed. Add sugar and beat on low until it is fluffy. Now it’s time to add the egg. This might be a good time to mention if egg shells end up in the butter-sugar mix, don’t try to pick them out by hand. Use the largest piece of egg shell to scoop out the offending matter before you mix the egg into the batter. Add vanilla and beat on high until everything is smooth. Turn the mixer to low and add the flour mixture. Mix until combined and dough is formed. Roll the dough into balls about an inch to an inch and a half in diameter. That equals about one tablespoons worth. 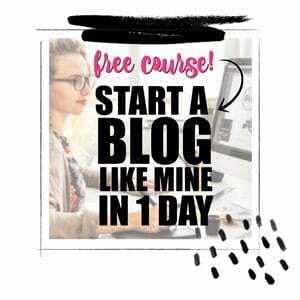 You can use a cookie scoop to help this step go quicker. Place each dough ball into the mini muffin tins. While the cookies are baking for the required 8-10 minutes, unwrap mini Reese’s Peanut Butter Cups. As soon as the cookies come out of the oven, press the peanut butter cups into each warm cookie. The outer coating of chocolate melts into the cookie in the best way! Let the cookie cups cool before removing them from the muffin tin if you want the cookies to look nice for sharing. Look no further for amazing dessert ideas with these 29 Cake Batter Cookie Recipes. Don’t miss out on this delicious Snickerdoodle Cookie Recipe. Snag this Old Fashioned Chocolate Chip Cookie Bar recipe to make soon, too! 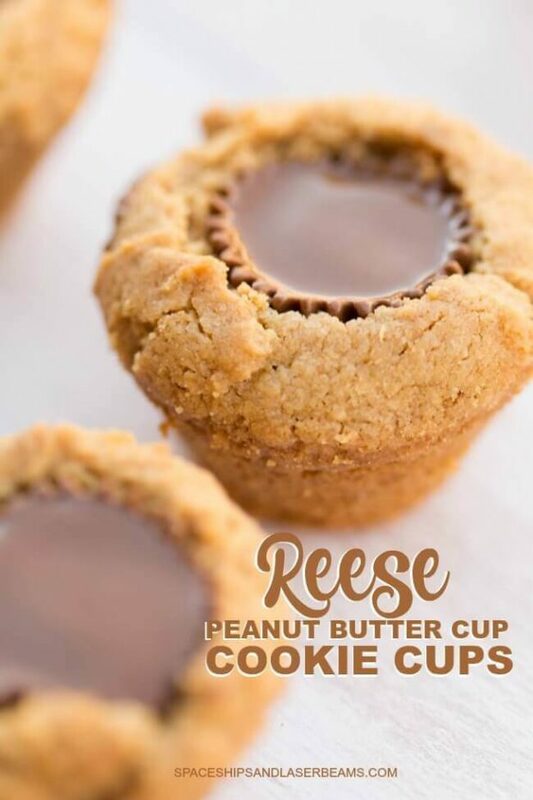 These Reese Peanut Butter Cookie Cups have a crisp edge with a delightfully gooey center and a dash of nostalgia. Shape dough into 1 1/4-inch balls, place into ungreased cookie muffin tin. Bake 9 to 10 minutes or until light golden brown. Press mini peanut butter cups into the center of each cookie. 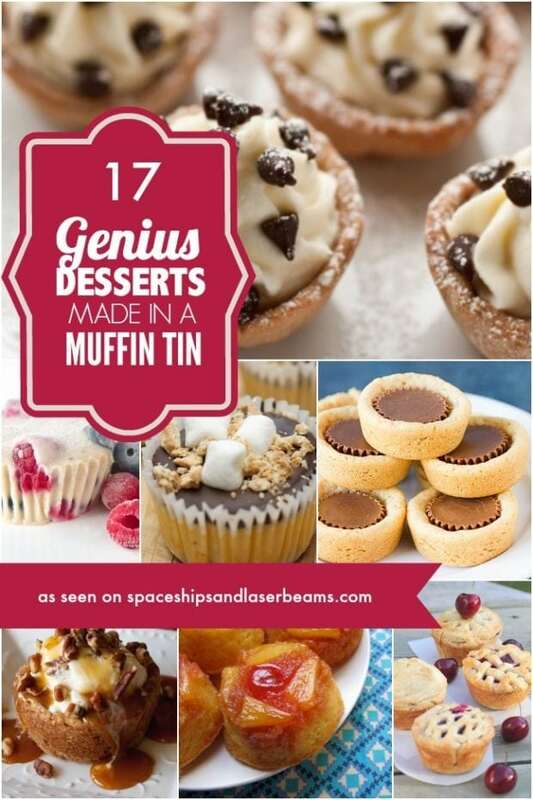 Cool and remove from muffin tin and place cookies on a wire rack. These are about the most delicious treats on the planet! Delicious! Perfect for my kids! We make these every year – so good!!! You are missing the vanilla in the recipe. Oh dear, thanks for pointing it out. I’ll update it! My entire family loved these cookies!